Presented by: Midwest Willys Jeep Reunion Inc. Thanks for another great year! Thank you Bill Norris for being our guest speaker! Check our facebook page for 2018 Highlights, pics and videos! 2016 Working Jeep Demos Video!! Not just a parking lot show, its an adventure and a vacation on 3000 acres~! We invite you to attend our Rally at Hueston Woods State Lodge and State Park on May31 June 1, 2019. The Hueston Woods Lodge is located at 5201 Lodge Road, College Corner, Ohio 45003. The phone number for the Lodge is 513-664-3500 or 888-711-4725 or www.huestonwoodslodge.com. if you wish to rent a tent camping space or space for an RV, you can contact the Hueston Woods State Park at 866-644-6727 or www.ohiostateparks.org. This gives you the opportunity to chose your level of accommodations and manage your budget. If you chose the Lodge, be sure to mention if you have an AAA, AARP or Golden Buckeye Card as discounts are available. The Lodge offers both rooms and separate cottages. The Lodge offers all the amenities you would expect at a fine motel, including dining room service, lounge/bar, indoor/outdoor pools, sauna, tennis, and more. The Hueston Woods State Park offers camping, a marina with boat rentals, nature center, pioneer farm museum, golf course, horseback riding, and over 20 miles of roads to explore with no fear of being run over by freeway traffic. The setting is rustic, but the park is easily accessible from major highways. We have listened to suggestions made by attendees at the reunions held at Kings Island Resort. We will have demonstrations of working Willys Jeeps with PTO attachments. John Ittle, who has a splendid collection of working Willys Jeeps, owns farmland adjacent to the park. He will be arranging group trips to his farm with plowing demonstrations and other off-road activities. You can chose the activities in which you wish to participate. 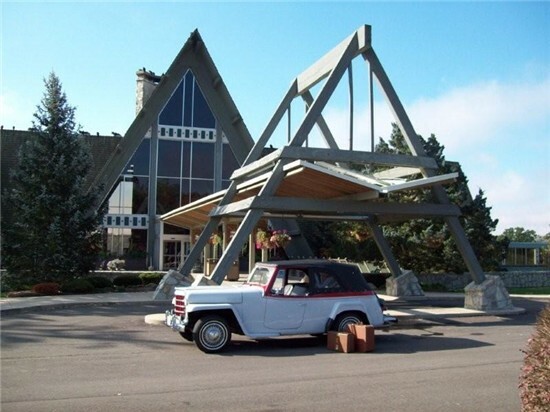 The Lodge has offered the use of a grassy knoll behind the Lodge for displaying our Jeeps. This area presents a breathtaking view of the lake. If Mother Nature does not permit this, we have access to a paved parking lot surrounded by beautiful forest. We are committed to this event and have a signed contract with the Lodge in place. We urge you to make your reservations with the Lodge or the Park soon. This will assist us in our planning for the event. If you have any questions, you may also contact Mike Mee, 937-649-4273, mikem4x4@gmail.com, or Rick Riley, 513-423-8724, rickieriley@att.net. This past years show was a huge success, we want to thank all our sponsors, supporters, reporters, participants, spectators, workers, volunteers and staff for without you there would be no event! C. Jeep is a registered trademark of the Chrysler Corporation, it is used here for descriptive purposes only. Not just your ordinary event page, followers enjoy daily vintage and currant day Willys n Jeep posts and pictures as well as event updates! So check us out and be sure to "LIKE" us today! JP Magazine 2014 Rally Coverage! Some great PRE-RALLY media coverage! Fourwheeler Magazine 2013 Rally Coverage! -Imagine standing on your lodge room's balcony over looking a sweet lake with rows and rows of Willys Jeeps in the same view, kick back and have a beverage. -Camping spots from Primitive to full hookup. -Park is easily accessible from major highways. "Home of the Jeep Ranch"
Our banquet will be held in a beautiful 40' glass-fronted room that overlooks the gorgeous lake and showfield. The menu will feature dishes to please most tastes. If someone has special dietary needs and we are notified beforehand, we will make every effort to comply with those needs. Our guest speaker is Bill Norris. 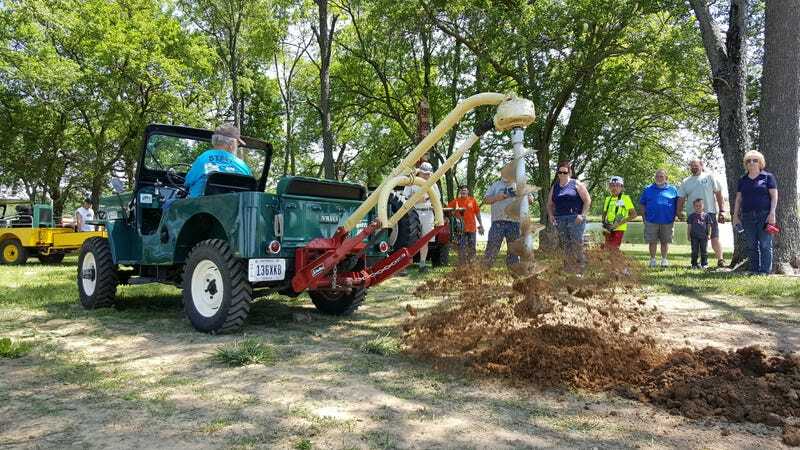 Also, John Ittle will be giving demonstrations of Jeeps working on his property throughout the show, and participants are urged to take part in the demonstrations with their own vehicles, if they wish. 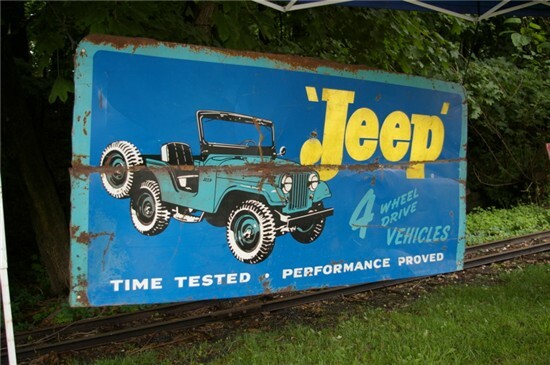 MR.Norris has been active in the Willys Jeep hobby since 1984 when he acquired his first CJ2A.After he finished restoration of a 1947 model in 2002, he began researching the history of the company and its vehicles and writing about them. His interest later lead to the creation of the award winning Holy Toledo! wall calendars in 2006 with fellow Jeep aficionado Kevin Banonis. In 2014 Bill and Kevin were asked to take over publishing West Coast Willys' 'The Dispatcher' newsletter. They decided to accept the offer and converted it from a publication printed three times a year to a quarterly magazine.In 2017, 'The Dispatcher' won the prestigious Richard and Grace Brigham award from the Society of Automotive Historians for best automotive historical periodical. 2019 Guest Speaker to be announced!